I haven't yet formally introduced you to "The Zendo" and it seems today is the day to do that. Yesterday, when I was having a particularly anxiety-ridden, flailing-kind-of-moment, I remembered The Zendo. After listening to some of the meditations/prayers there, I felt things begin to shift--I began to settle in and breathe a little fuller. I began to reconnect with that deeper, knowing part. My hope is that you will visit this space when you're feeling alone/anxious/doubtful, etc...or just want to feel more centered/grounded/connected. My hope is that it will be a place that will help you remember who you really are & what is truly important, a sanctuary for your spirit, a place that will nudge you back to your sweet, just right insides. 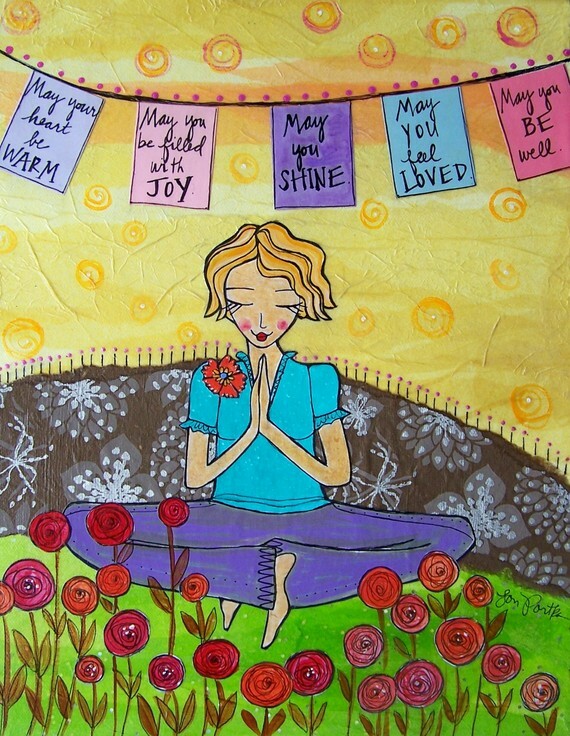 May your day be filled with release, gentleness & love. May you remember your greatness. May you cherish all that you so beautifully are. May you be aware of the blessings that surround. May your remember what Rumi knew...that the entrance door to the sanctuary is inside you. Dearest Julia, your entire blog is a sanctuary for my spirit! I LOVE the Zendo and all the offerings there. Perhaps one day we will create a real-live Zendo in Oregon! Aaahhhhh...the dreams. just what i needed to today. thansk for sharing the zendo.